Walk the line of angles! As a class, create a crazy path of angles with a roll of masking tape. 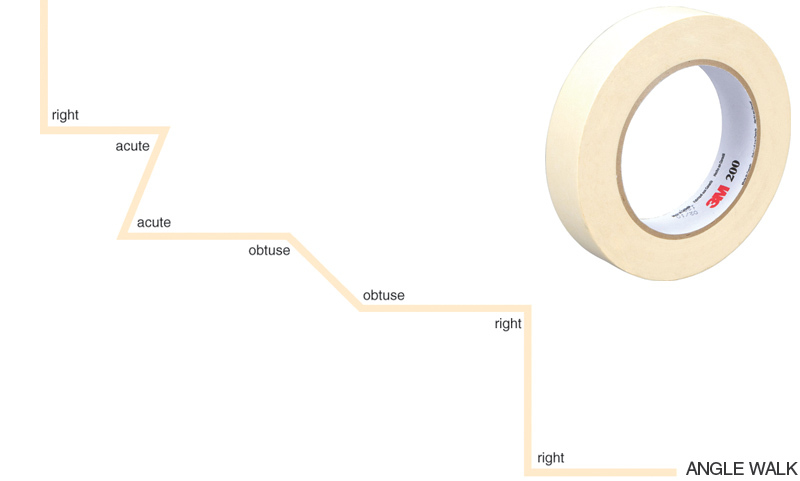 Each child adds two strips of tape to the path, creating an angle: right, acute, or obtuse. After they add their tape, they label their angle. You could write on the tape or stick a post-it note by the angle. Once everyone has had a turn, check out your path. Do you see any more angles to label? Now, walk it!